A top ten Great British Garden - Hidcote Manor is one of the greatest gardens in England created this century by the great horticulturist Major Lawrence Johnston. 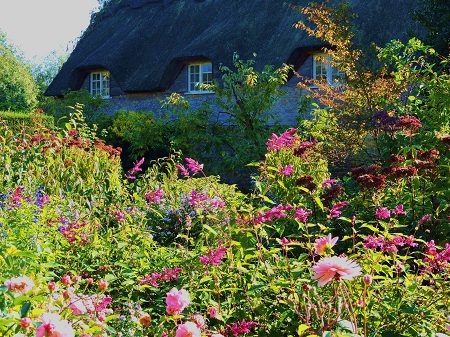 The Hidcote Manor Garden should not be missed. It is situated in the beautiful Cotswold countryside amongst hills, rolling valleys, and drystone walls and was influenced by the Arts and Crafts Movement. 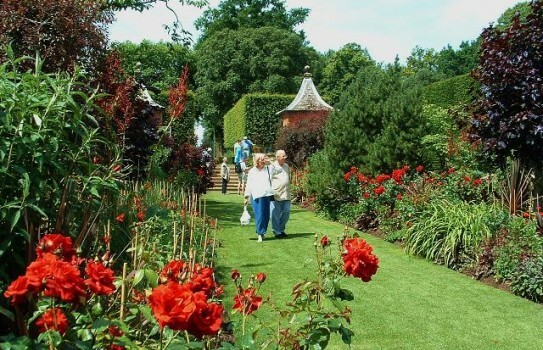 Hidcote comprises of a series of small gardens within a garden, but also with long avenues bordered by different plantings. The garden is famous for rare shrubs and trees as well as its outstanding design features. There are water features, wild flower areas and pools with plenty of places to sit and take in the atmosphere. walk amongst the old scented roses along the walkway and small garden houses. Take your time to go round and don't forget to take the camera. Can be crowded at weekends. One of our top 20 UK gardens. This is just one of a group of beautiful gardens in the area so see the rest of our guide. NT 2019 Garden - normally open from 9 February. Hidcote Manor Garden website for days and times. Refreshments, disabled access and plant sales. Midweek is best as Gardens are crowded at weekends. Partial Disabled access. Nearby Garden - Just 800 yards away - Kiftsgate Court a wonderful private garden with magnificent views over the Cotswold Countryside - do not miss it! If you want to find places to stay near Hidcote Manor Gardens, stay in one of our recommended hotels. Each hotel has genuine guest reviews enabling you to book from anywhere in the world in total confidence. Look now for Hidcote Manor Hotels.